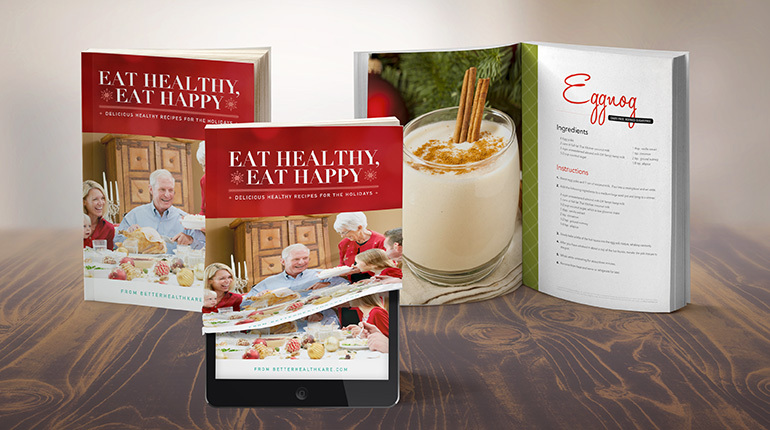 Add some variety to your feast this Holiday Season and keep it Healthy at the same time! At BetterHealthKare.com, our mission is to inspire people to live a healthy lifestyle by giving them access to powerful information related to their health and wellbeing. That’s why we’ve created this collection of easy-to-follow recipes that are both flavorful and full of variety, but more importantly, good for you you too! In addition to the recipes in this book, you can find plenty more on our website. We add new meal ideas each week that cover breakfast, lunch, dinner and everything in between – from appetizers and salads, to side dishes, main dishes, soups and stews, and desserts. We have assembled this powerful collection of palate-pleasing sides, appetizers, and desserts made to enhance healthy eating by using quality, health-conscious ingredients. These recipes are perfect to add to your Holiday meals this season, each one is designed to maximize flavor by incorporating lean proteins, heart-healthy fats and balanced carbohydrates that bolster energy levels and minimize excess calories. Why cook the same old foods over and over every Holiday? Change things up this season and try some of these new healthy recipes. Your family and friends will thank you. Have a safe and delicious Holiday! Click on the button below to download your cookbook. Click Here to view the cookbook in your browser.